Four-time Major winning Rory McIlroy insists he’s prepared to miss the cut in 10 of his 22 tournaments a season if it means winning five times a year. The current World No. 3 is coming off the back Sunday’s final round 75 that sent McIlroy tumbling to joint 20th in the Northern Trust Open in L.A. But then McIlroy is prepared to accept a little mediocrity if it means a season such as 2014 when he captured a respective five tour titles and last year when he tasted success in four. “I feel like the way I play, especially with the aggressiveness of my play, there are going to be times when it won’t always work out goof for me and I’ve accepted that,” he said. 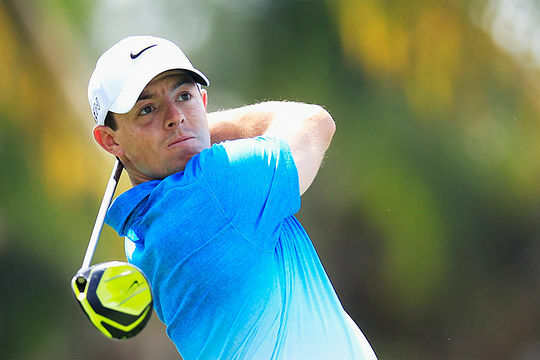 The world number three finished the first round of the Honda Classic at 2-over (72) and in a share of 65th place. Play was suspended due to darkness with three players yet to finish their rounds.